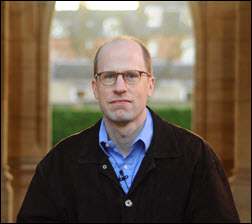 Behind on my posts again, read my recent interview with Nick Bostrom at Oxford’s Future of Humanity Institute for Publishing Perspectives in full below or by following this link. “Artificial Intelligence could in the end replace most, if not all, of the high-level functions of an editor, but if you get to that point then the whole game changes not just for an industry but for humanity as a whole, because it will have become superintelligent,” says Oxford academic and prophet of an AI apocalypse Nick Bostrom. Projected on to the wall behind him is a live stream from the Google DeepMind AlphaGo challenge being played in Seoul. DeepMind has become the first computer program to beat a professional human player at the game of Go, this month scoring a 4-to-1 victory over one of the world’s top champions. 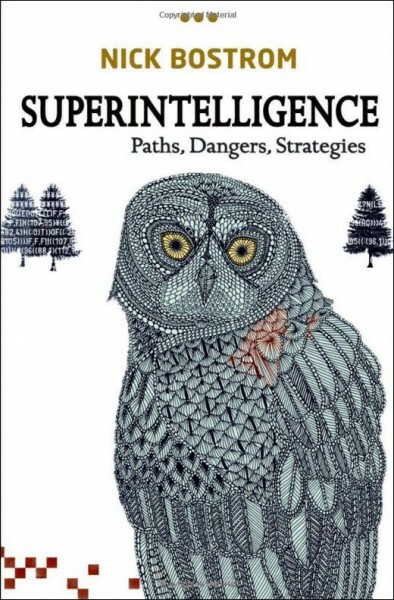 Bostrom defines superintelligence as an intelligence much smarter than the best human brains in practically every field, including scientific creativity, general wisdom, and social skills. It’s also the title of his book Superintelligence: Paths, Dangers, Strategies (Oxford University Press), which was published in 2014 and made The New York Times bestseller list. If you haven’t been following the rise of the new technology, then the threat of an AI takeover in the next 100 years may come as a surprise or seem a joke, even a piece of science-fiction. It shouldn’t. Bostrom’s book—a call to arms to the leaders of industry, government, and the military about the possible threat posed by AI to the future of humanity—led Raffi Khatchadourian in November to dub Bostrom “a philosopher of remarkable influence” in his feature on the professor, The Doomsday Invention. Bostrom has been listed on Foreign Policy’s Top 100 Global Thinkers list twice, and he was the youngest person included on Prospect magazine’s World Thinkers list. And on April 11th, Bostrom’s keynote address at London Book Fair’s Quantum Conference will help make good on the event’s tag line, “Publishing & So Much More.” He certainly is that. Success has made him a hot ticket. The slightly reserved, precise, and very sharp Bostrom is the founding director of the Future of Humanity Institute (FHI) in Oxford, which explores often neglected “existential risks” to the future of humanity. 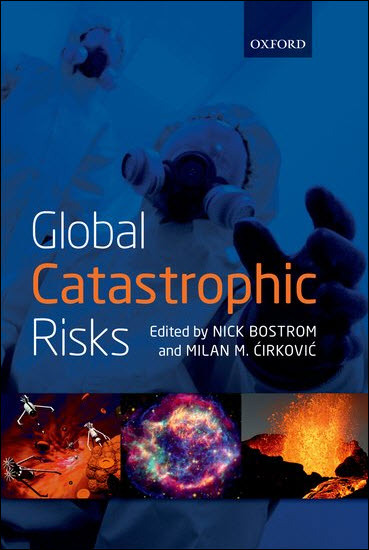 Bostrom has defined existential risks as ones that could annihilate life on Earth or permanently and drastically curtail its potential, such as supervolcanoes, pandemics caused by bio-weapons, nanotechnology, and of course AI. He explored this same ground in an earlier book, Global Catastrophic Risks. Comprising 26 essays by world experts and edited with Milan Cirkovic, it’s enough to keep you up all night. “The book is my attempt to think through all the issues that might arise as we move towards machine superintelligence. The first couple of chapters talk about how we get there – the rest focuses on what happens when we do, when machines do surpass humans. This is called the control problem. How can we create controls so that machine superintelligence will be beneficial to humanity as opposed to destroying us? “After all, AI has an upside. It is a very general-purpose technology. Almost everything we expect technology to do can be done better if the technology is smarter and adapts to the user. In the long term, all the things we want to achieve, like space settlement, we will need machine intelligence for. “However, [while] the development of machine superintelligence may well be a portal that civilization will have to pass through to meet its full potential, there is a risk that rather than go through the portal we will smash into the wall. We could have a terminal catastrophe which will lead to the destruction of everything. It may even be the scenario that happens unless we put in a heroic effort. He’s more sanguine, he says, about the implications of DeepMind’s victory with AlphaGo than many of the rather lurid headlines. “Certainly there are lower-level editorial tasks that AI should be able to do soon, and that includes an interesting application of a more advanced version of spell-checking, where the AI suggests changes in sentence structure as well the spelling. “While I could see AI augmenting or replacing humans in visual arts, in writing it would be harder, as the process of writing decides what is to be written next. The current automated writing software is a very limited form of writing—basically putting data into sentences. Whether we would have any warning of the apocalypse is a different matter. “There is some uncertainly whether there will be a sudden advance in AI or whether there would be warning signs building up to it. If it goes well, it will be a controlled detonation which will produce a desirable outcome for humanity.